Do you offer any photography training services? If you do, this promotional flyer template may easily win you favor. 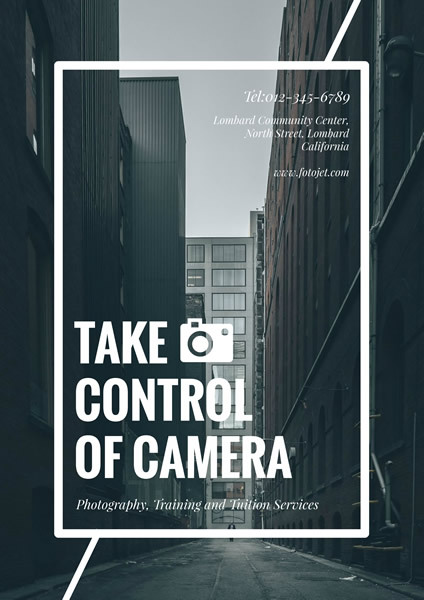 There is no doubt that most photography studio will hand out some photography flyers to promote their business for its wide spread. And with this design of FotoJet, making promotion flyer design is becoming more money-saving. The camera image and the bold words are specially designed to highlight the subject.